With our expertise of tours in China, we seek to show our guests not just the main sites but aspects of the country that are beyond the reach of more conventional itineraries. The splendours of The Imperial Beijing, the astonishing Terracotta Army in Xian, the sophistication of cosmopolitan Shanghai, the renowned Mandarin gardens of Suzhou and the elegant and serene beauty of Hangzhou are naturally included. Added to this is a splendid excursion to the provincial market town of Chengde, the summer resort favoured by the Manchu Emperors. Is it the first time you visit China? 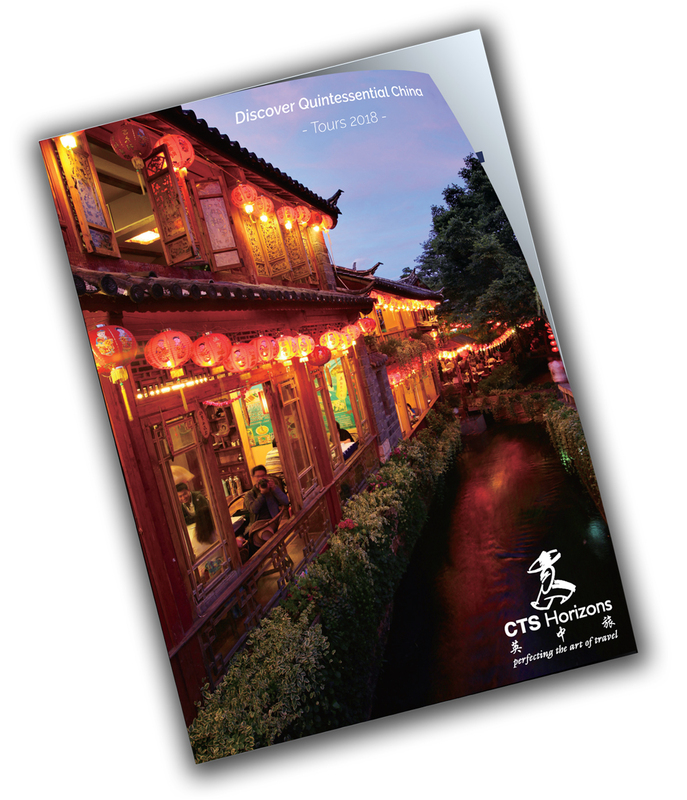 If you wish to learn more check our blog articles like China Travel Guide: 9 must-see hidden attractions in Beijing and more! Air China Business Class upgrades from £1595 return. British Airways upgrades: World Traveller Plus from £235 one way, Club World from £895 one way. Metropark Causeway Bay Hotel extra night per twin/single room with buffet breakfast from £120. Private airport transfer from £75 per person one way (min 2 passengers). NB: Outbound flight to Beijing will be with Air China. On Day 17 spend a third night in Shanghai. Homeward flight with Air China on Day 18 via Beijing, arriving London around 1745 the same day. Depart Heathrow at around 16:30 on the non-stop British Airways flight to Beijing. Enjoy the many attractions of this city at your own pace. (Optional full-day sightseeing bookable locally). Close to the Silk Market in Beijing’s diplomatic quarter, the 4-star Jianguo Hotel offers guests an indoor pool and sauna, and rooms with IDD telephone, cable TV, minibar, air conditioning, tea & coffee making facilities and hairdryer. The Jianguo boasts a fancy French restaurant, a superb Chinese restaurant serving traditional imperial cuisine, a British-style ‘pub’ with buffet lunch and evening live music, a lobby lounge for afternoon tea overlooking the gardens, a café serving western dishes and a cake shop. Just a 10-minute walk from Xian’s old city walls and West Gate, the 5-star Grand New World is a large, modern and comfortable hotel with rooms featuring IDD telephone, internet access, tea & coffee making facilities, cable TV, hairdryer and safe. There is also a beauty salon, massage, gym, indoor pool, sauna, business centre, restaurant and coffee shop. A good buffet breakfast is offered and both Chinese and western food is served in the hotel restaurants and coffee shop. Over looking the Ronghu Lake, the Guilin Bravo Hotel has an intimate atmosphere and is close to night markets and shops. Spacious guest rooms and suites are equipped with individually controlled air-conditioning, safety deposit box, free internet access, IDD telephone, TV and mini bar. The Patio Café is open 24 hours and serves Western and Asian cuisine. Various provincial Chinese cuisines are available from the Lijiang Restaurant. Live entertainment is available from the lobby bar in the evening. The hotel also has a small outdoor pool. A great choice in Shanghai – of course very centrally-located, just off Nanjing Road. The Central Hotel is modern and smart with 319 good-sized, stylish rooms and cheerful and friendly staff. Bedrooms have cable and satellite TV, minibar, safe, internet access, air conditioning, and tea and coffee making facilities. This 33-storey tower boasts floor-to-ceiling windows that give unobstructed views from many rooms of the famous harbour and city skyline, and there are more magnificent views from the rooftop swimming pool. The hotel also offers a sauna, gym and Jacuzzi. The 266 rooms are spacious with air conditioning, minibar, hairdryer, cable and satellite TV and safe. The Yangshuo Resort is a superbly-equipped resort hotel with a fantastic range of facilities for its guests, world-class design and chic decoration in a contemporary but distinctly Chinese style, as well as an unbeatable location right on the banks of the Yulong River, amidst a 5-acre arable farm. Rooms at the Yangshuo Resort are exceptionally spacious and all boast a balcony overlooking the Yulong River and the dramatic karst mountains beyond. A spacious and comfortable hotel with 280 rooms all with modern amenities. There is a restaurant and a coffee shop providing a range of meals and snacks. There is also a spa and a fitness centre. We are pleased to share feedback that we received from some of our valued clients. Our holiday with yourselves was excellent. All our transport including flights was very good. The local guides went out of their way to ensure that everything went smoothly and that our enjoyment was paramount. Our holiday overall was very well managed. Thank you for a wonderful holiday full of many happy memories. Once again we have enjoyed an extremely well organised and full holiday. Everything worked perfectly and our guides were always willing to put things in or drop things out if we all wanted to. Our request for a double bed was met everywhere (except Hong Kong) as were the requests for twin rooms from other members of our group. We dined in so many different restaurants on really good food. No complaints!! I thoroughly enjoyed this tour. The best holiday I have ever had!